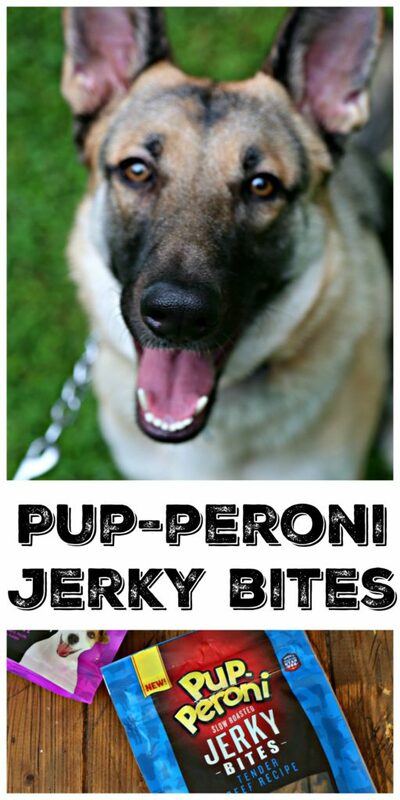 Pup-Peroni® Jerky Bites are tender mouthwatering treats with big flavor. They’re grain-free, contain no fillers, meat by-products or artificial flavors. They’re a great snack or treat for your dog(s) as part of a healthy diet. My dogs come running when I pull out the Jerky Bites. They know a good thing when they see it. They sit pretty, tails wagging patiently while waiting on me to to pass them out. I like to use these small treats when we’re outside for good behavior and while we’re inside for training. Maybe will a little help from Pup-Peroni I’ll eventually get them to behave all the time. This post is sponsored by The J.M. Smucker Company. All opinions are my own. That’s Tilly. 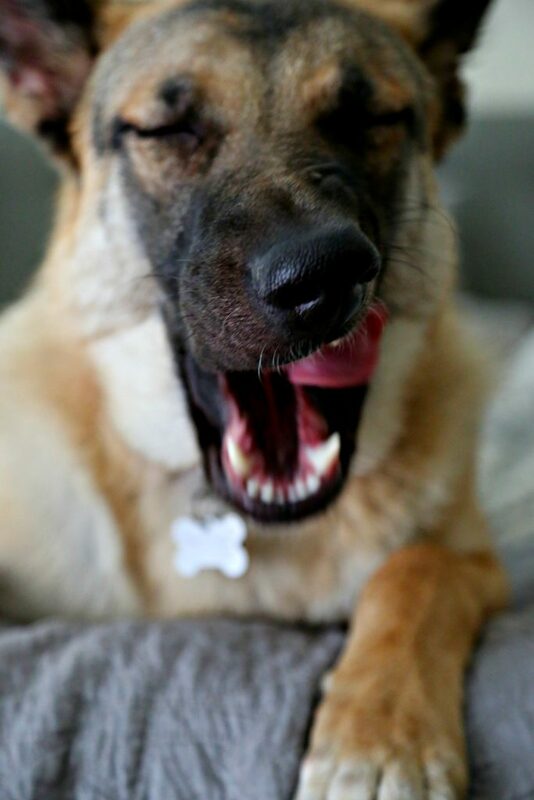 She’s licking her lips in anticipation of a treat. Which is always. 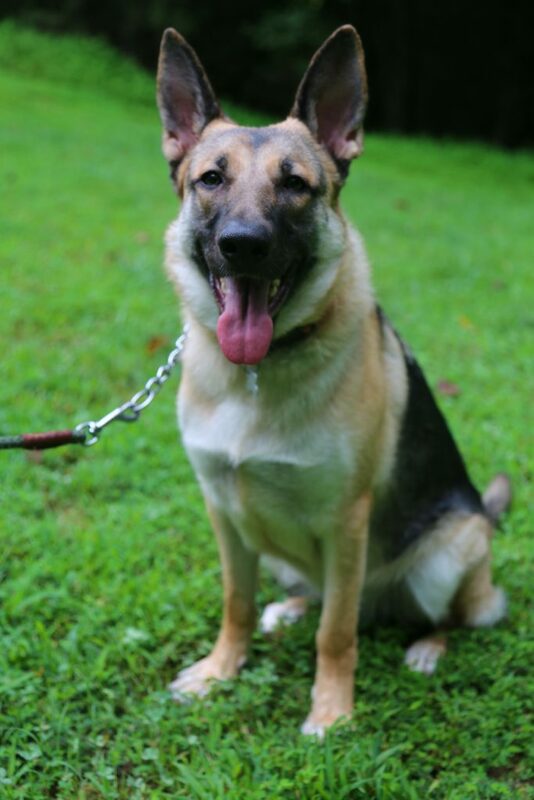 She’s a German Shepherd and despite her looks she’s just 11 months old now. Still very much a growing puppy full of excitement and seemingly unlimited energy. She’s incredibly strong and already in the 70-80 pound range, yet she still believes she’s much smaller like her fur-brother, Chuck, a Beagle (who frequently makes appearances on my Instagram Stories usually rolling his eyes at Tilly). They’re quite the dynamic duo. 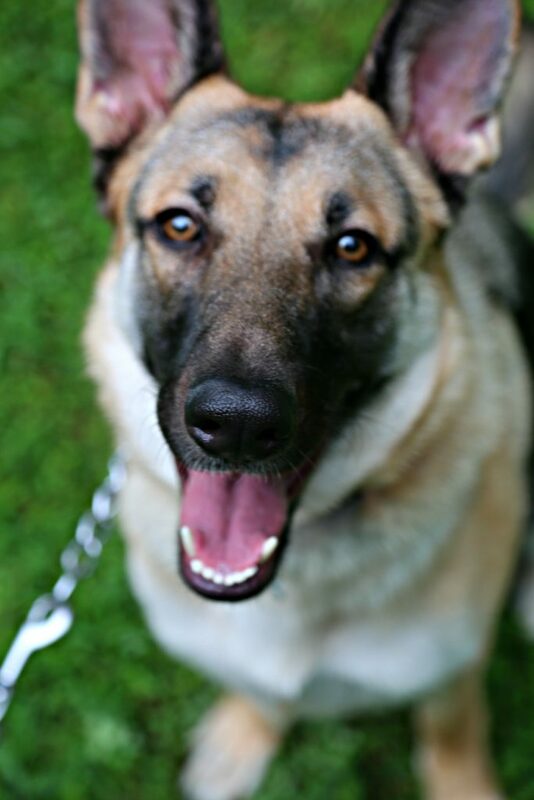 With all that energy, I like to use small treats when we’re outside for good behavior and inside for training. I make sure that their dog treats are filled with good, quality premium ingredients. They’re part of the family after all so it’s important. Like the new, Pup-Peroni® Jerky Bites available at your local Walmart in the Dog Snack aisle. They’re tender jerky bites with big meaty flavor. They come in two different flavors and sizes: Pork or Beef in 5 oz or 20 oz bags. They are made with real pork (or beef)! Check the packaging yourself, they’re listed as the number-one ingredient. They’re also GRAIN FREE, have no fillers, meat by-products or artificial flavors! That’s something pet parents can appreciate. Plus they’re produced in America, in Spanish Fork, Utah! 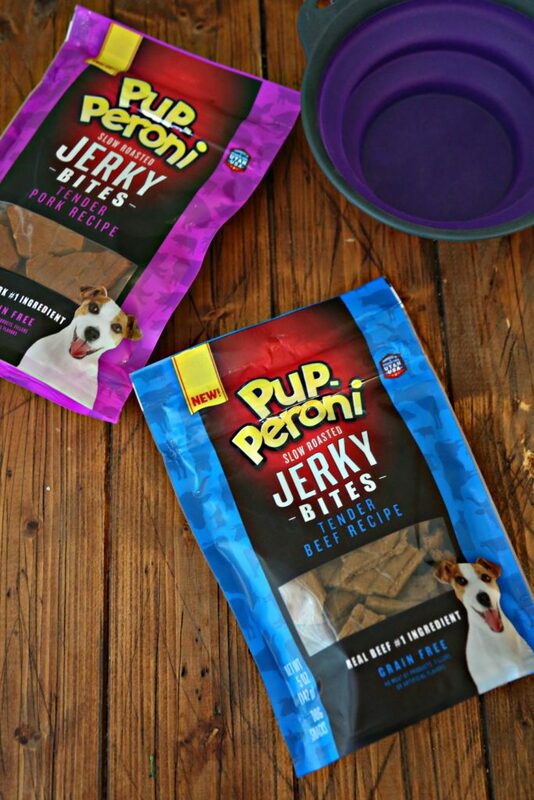 Now that we’ve established the ingredients in Pup-Peroni Jerky Bites are pet owner approved, do slow roasted Pup-Peroni Jerky Bites pass the pooches taste test? Which let’s face it is important, because if they don’t like the treats, they won’t eat them. According to my pups, YES. They passed with flying colors. They both gobbled up the jerky bites at every offering and patiently waited on more. 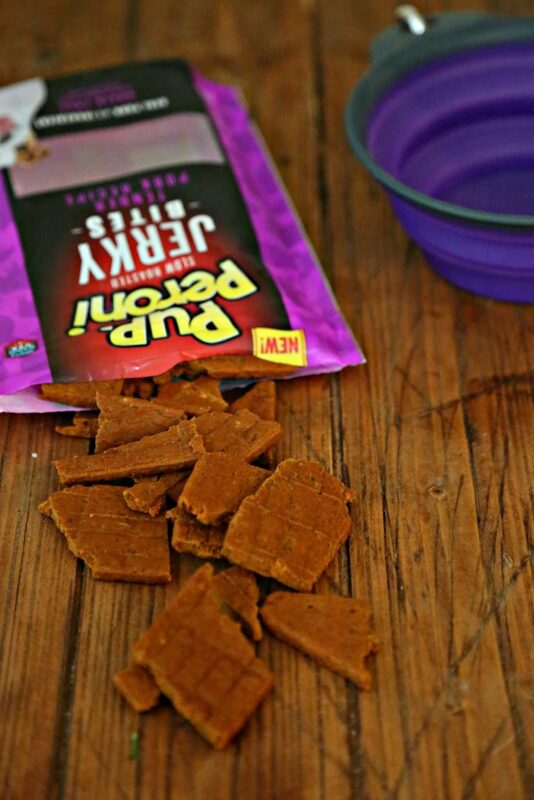 I liked that these jerky bites are tender (just like the package says) and were easy for my dogs to chew. Also because my dogs are VERY different in size, I really appreciated that I easily tear them into pieces for my smaller dog. With no grain, meat by-products, fillers, or artificial flavors included, you can feel good about tossing one or two of these treats to your pups. She’s such a pretty girl and my Coco loves those treats too!